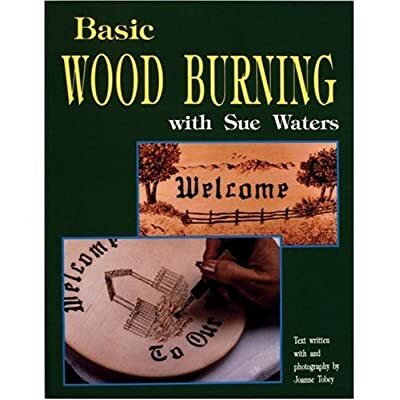 Discover how to do wood burning projects for beginners and the more advanced burner. The world is your oyster when looking for your next project. 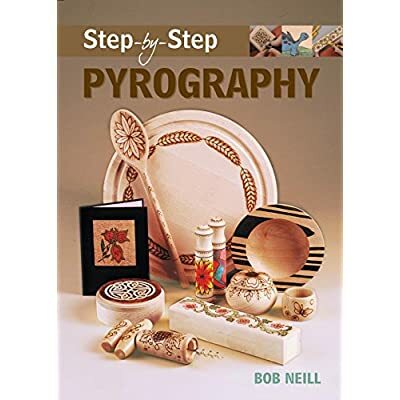 The versatility of pyrography allows for a huge variety of wood burning crafts ideas and beautiful designs to be created. These can be burned on wood, leather, bone, paper and gourds – all by burning away the top surface of the medium. 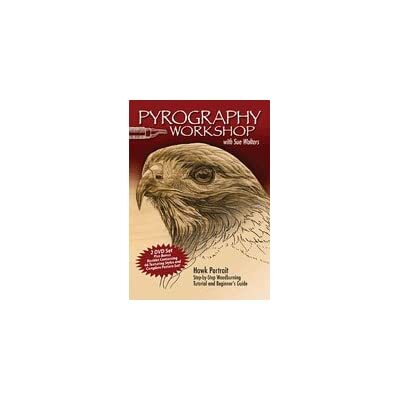 Wood burning requires the use of specialized tools in order to create your “fire” art. There is a large choice of tools on the market that will cater for a variety of budgets, skill levels, and techniques. 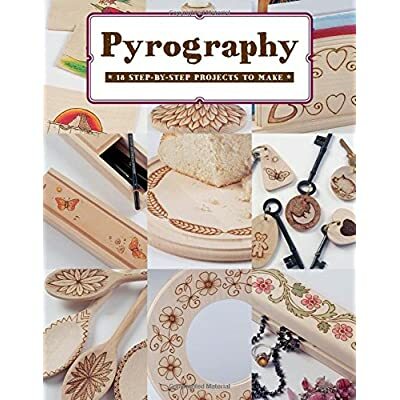 If you wish to buy pyrography supplies, please visit our store which has a large choice of products to meet your needs. 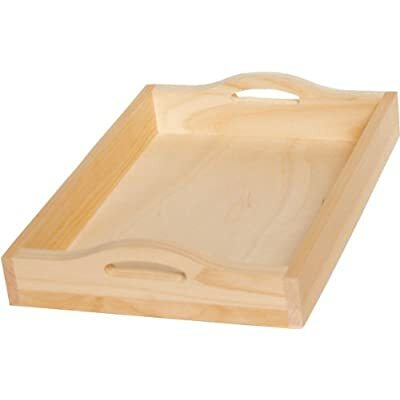 The choice of wood burning projects and crafted wooden products that are available in craft stores will keep you burning forever! 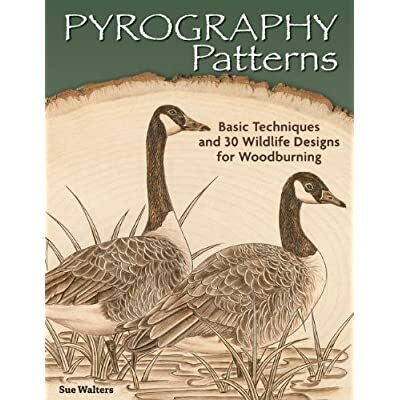 These pyrography blanks will inspire you to think about all kinds of wood burning project ideas. Decide on special gifts for loved ones, useful and decorative home projects or get inspiration for a piece of art to jazz up that special room. 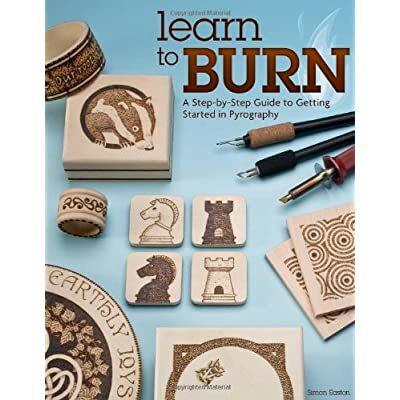 Pyrography patterns for beginners and experienced burners are in plentiful supply and in an unlimited array of subjects – you will never be lacking in artwork ideas or inspiration. 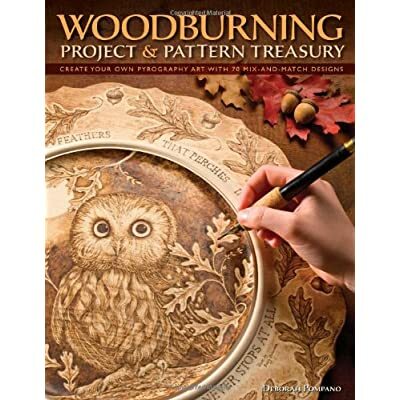 Wood burning patterns are bountiful as are wood burning stencils. 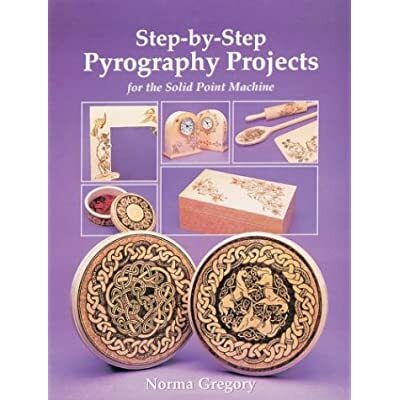 These can be found in some amazing wood burning pattern books as well as on the internet. And don’t be afraid to tap into your own talent and imagination. 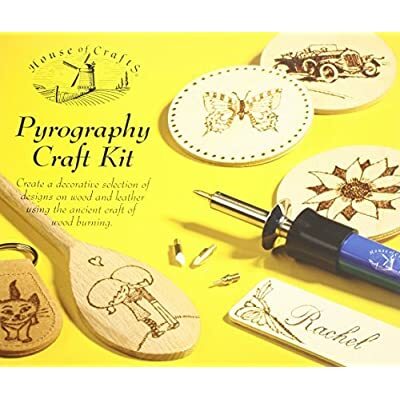 Pyrography blanks are available in a selection of small to large wooden boxes, wooden spoons, serviette rings, wood plaques and a host of other wood burning craft supplies. 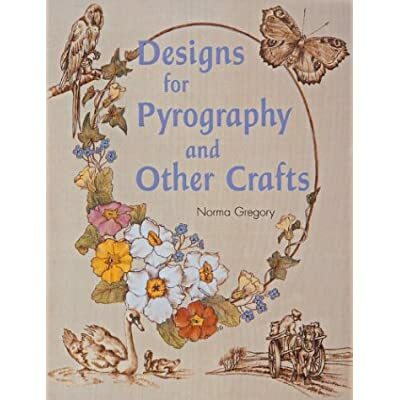 And, of course, there is nothing stopping you from developing all those wood burning ideas you have and selling your artwork at local craft shows and craft or gift shops. What Materials Can You Burn On? 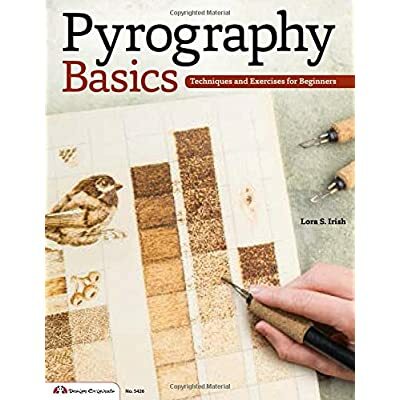 The most common base that most pyrographic artists use – is wood. You need to be aware of which woods you are using and the source. Importantly, has any treatment been applied to the wood? 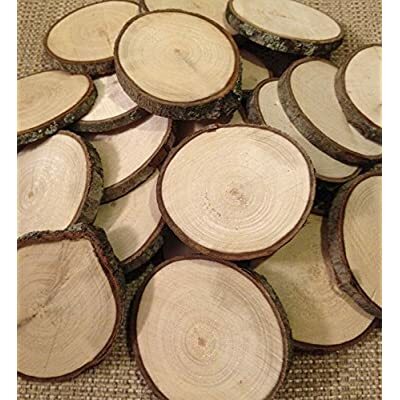 The wood needs to be virgin or untreated both for burning quality and for non-toxic fumes and smoke by-products. Some woods can be naturally toxic when burnt, with smoke from certain woods being an irritant to some individuals. 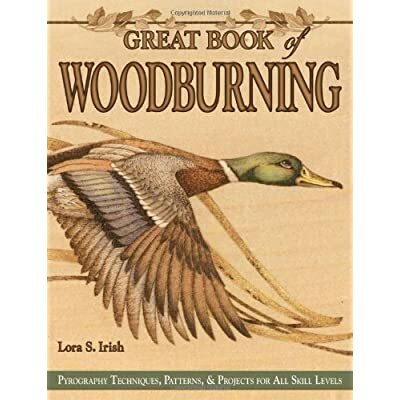 One of the best woods, especially for beginners to burn into, is basswood. It has a soft texture and very little grain. Other nice woods are Sycamore, Beech, Birch & Italian poplar plywood as their grain is not over-powering in the finished wood burning art. 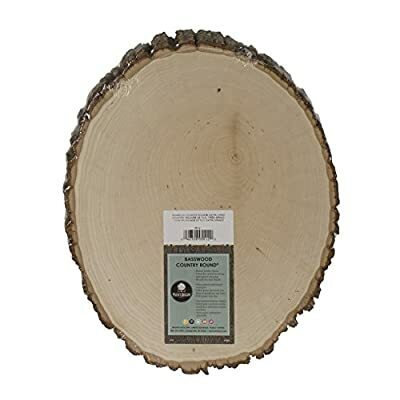 Pine and oak woods are also an option as they are light in color. 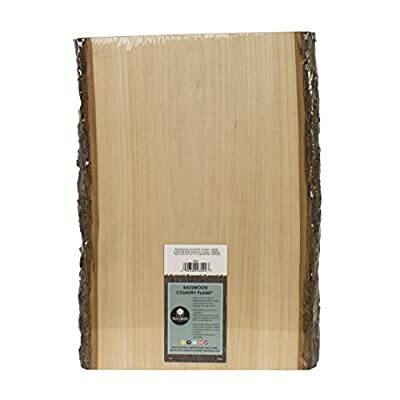 Italian poplar plywood, Birch plywood, and Maple are popular too. Please use caution when burning onto any plywood…. burning into the glue layer can be toxic. 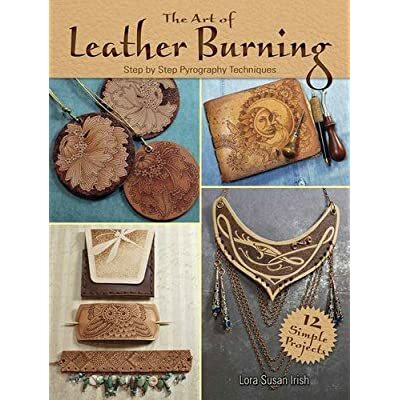 Leather pyrography is hugely popular with an infinite variety of projects to plan and ideas to work on. 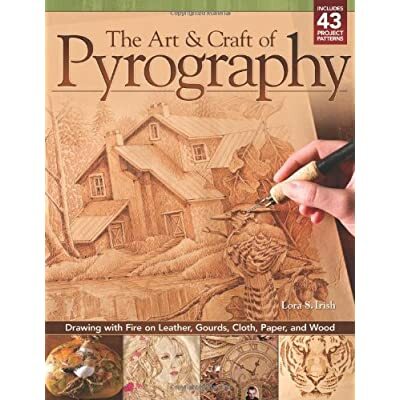 The pyrography pen is extremely effective when used on light colored leather. Try to use vegetable tanned leather which is a natural tanning process rather than a chemical one. Additionally, use leather without any finishes applied. These are usually chemical based and will ultimately affect the application of heat to the product and release toxic fumes. Be warned though, the smell is terrible. Leather is a natural product with fats, and when heat is applied it creates an acrid odor. To counteract this, it is advisable to get a fan and work in a well-ventilated area. Either get an extractor fan near to where you work to extract the odor or a normal fan to blow the smell away from you! Doing pyrography on canvas is a bit of a tricky business and should only be attempted after some experience of burning onto other bases. It is best to look for untreated 100% cotton canvas. Iron the fabric before attempting to do any burning – this will pre-shrink the cotton and also give you a perfectly smooth canvas to work on. It is advisable to place a piece of wood (plywood is good) underneath the area you are working on. 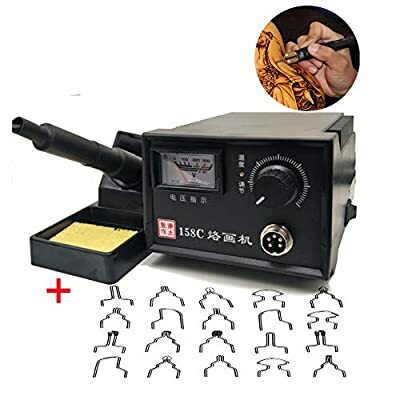 This gives you a solid, immovable base to press on and you will be able to judge your nib pressure to avoid burning through to the other side. 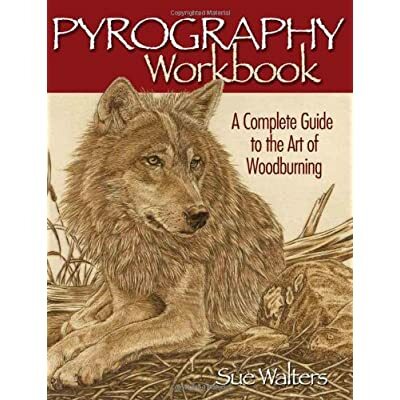 The methodology is to burn gently with the wood burner pen, and in layers, to achieve the depth of color you aspire to. You then (hopefully) avoid burning a hole through the fabric. This is a delicate procedure and is not to be rushed! 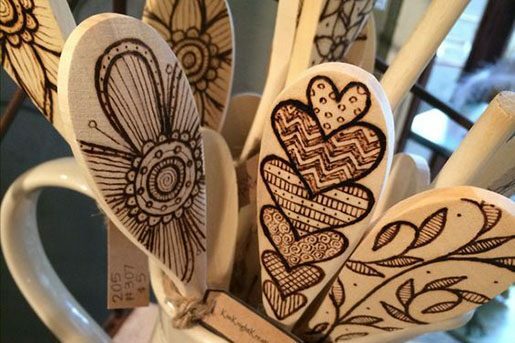 Pyrography on gourds is much the same as burning on wood – except the surface is smoother, harder and curved! 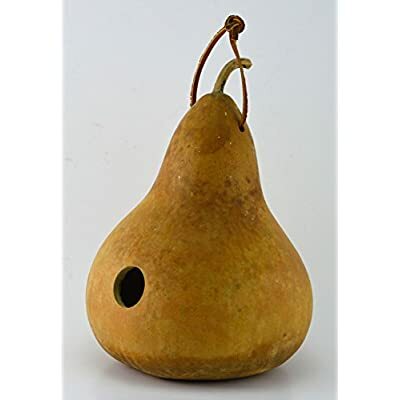 This makes holding the gourd in place whilst burning a little challenging sometimes. So be careful not to scald yourself with your wood burning tool. That would be very painful! 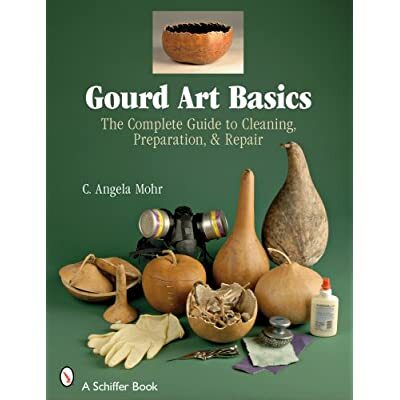 As with leather, keep in mind that burning or carving gourds can also cause respiratory problems. 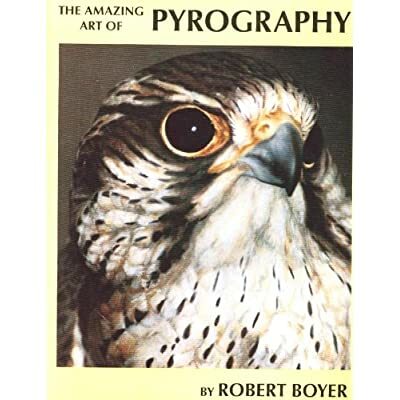 It is advisable to invest in a respirator with the correct filter when pyro-engraving as well as work in a well-ventilated area. 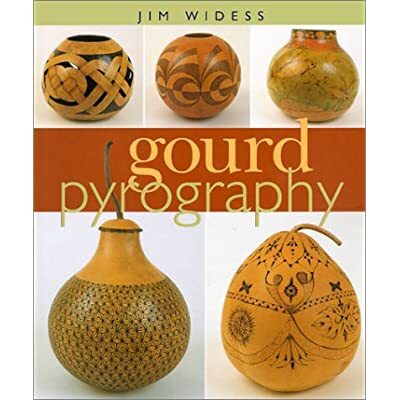 Finding patterns for gourds is dependent on what design you are looking at doing. 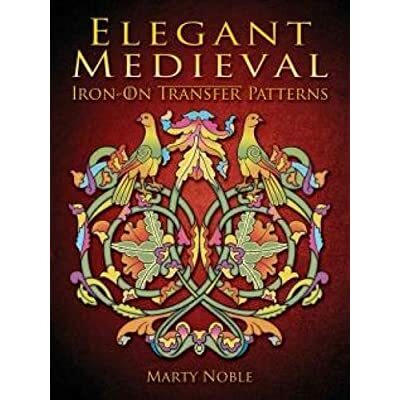 If you are doing a geometric design that has to meet seamlessly – you are going to have to be very precise with your design layout. Careful measurements of the circumference of the gourd are essential before laying out your design to ensure perfect meshing when transferring the design. 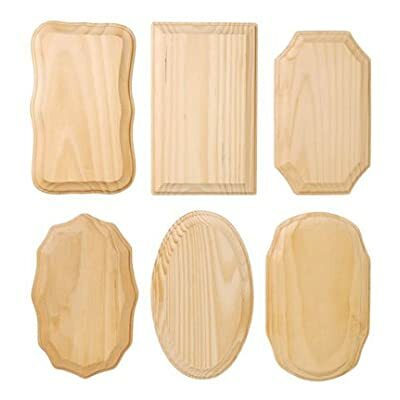 For general designs and decorative layouts – the same principles apply when laying out your project on wood or any other medium. Don’t be afraid to give it a try – keep it simple the first time around and if you are happy with the results – progress to more intricate ideas. 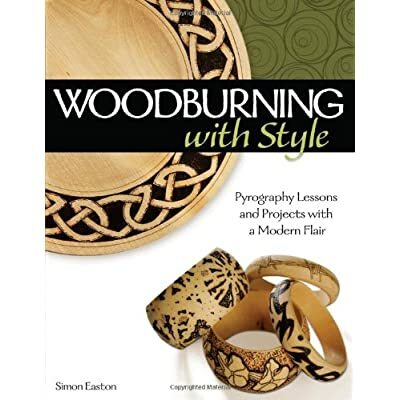 Look for your pyrography inspiration in these informative books found on Amazon and get burning! 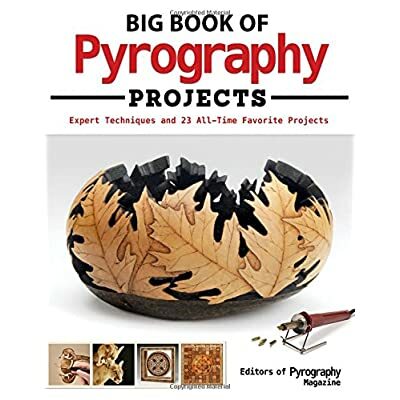 Find listed below some books full of easy wood burning projects for beginners as well as advanced craft ideas for the more adept pyrographer. Create wonderful projects as gifts and home enhancers. “The choice of crafts for projects ideas is endless. Experiment with all sorts of blanks. 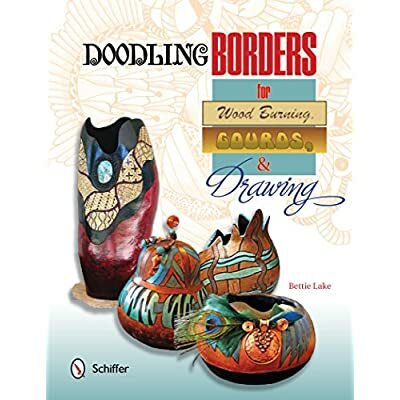 They can be on wood, leather, gourds or canvas. What Can I Use For My Projects?